On the 8th September I headed to Clayton West for the Kirklees Light Railway (KLR) Steam and Diesel Gala. 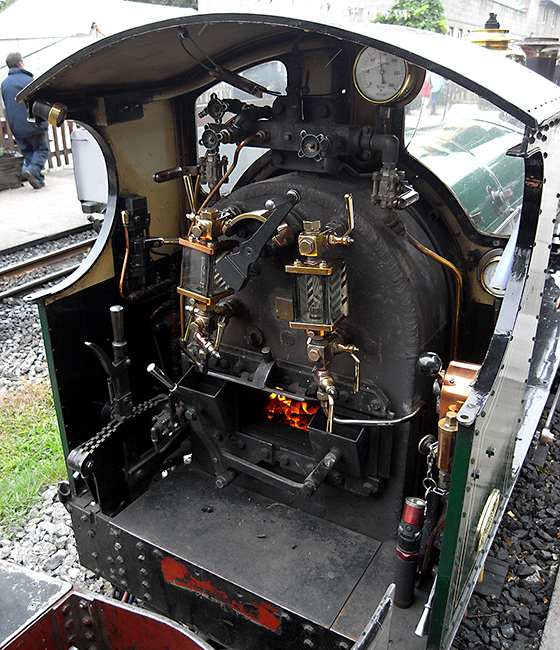 The event was publicised as ‘Moor Steam’ because they had several visiting locos made by the Exmoor Steam Railway workshops. When I arrived I was pleasantly surprised to see the Bassett Lowe 4-4-2 Atlantic ‘Count Louis’ being turned on the turntable. Obviously, the KLR had more guests than I had expected! 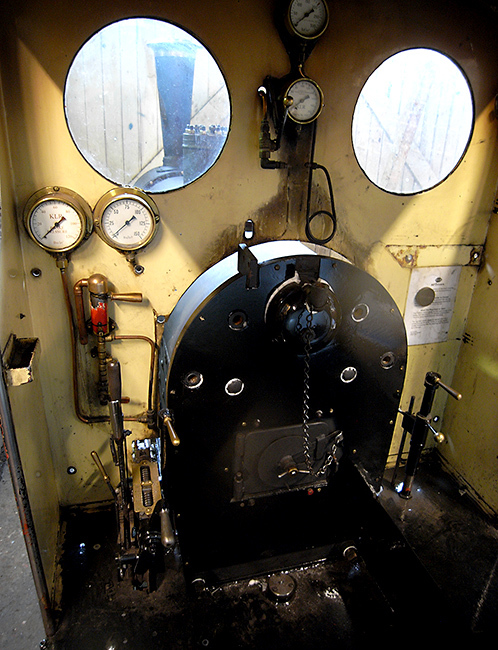 One of the larger, Class 30, Atlantics she was built in 1924 for the famous racing driver Count Louis Zborowski for the Higham Railway that ran around his estate in Kent. 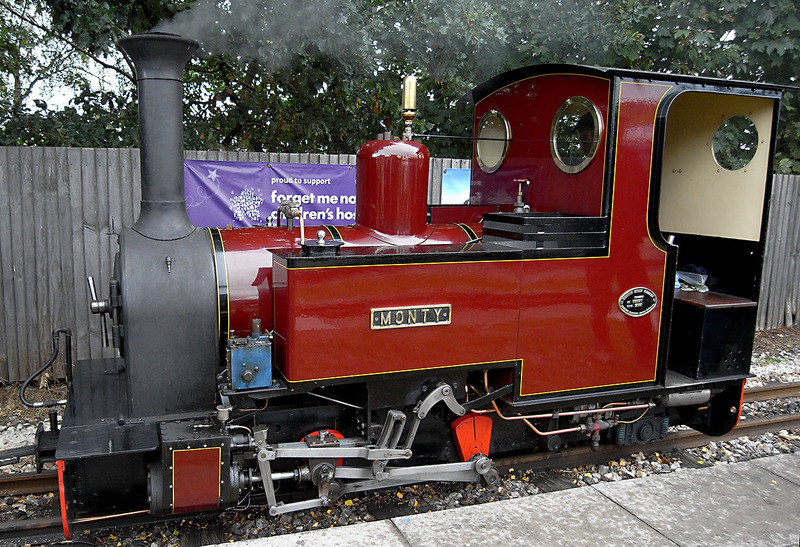 ‘Count Louis’ ran for many years at the Fairbourne Railway. 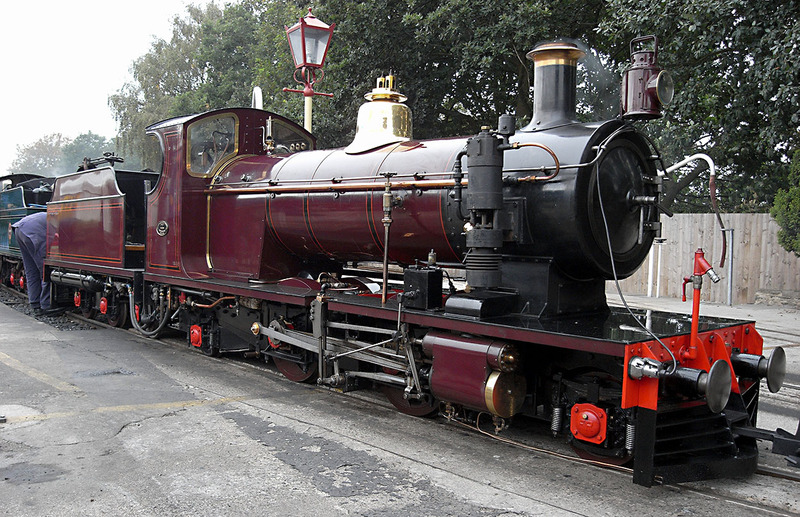 She’s a lovely looking loco. 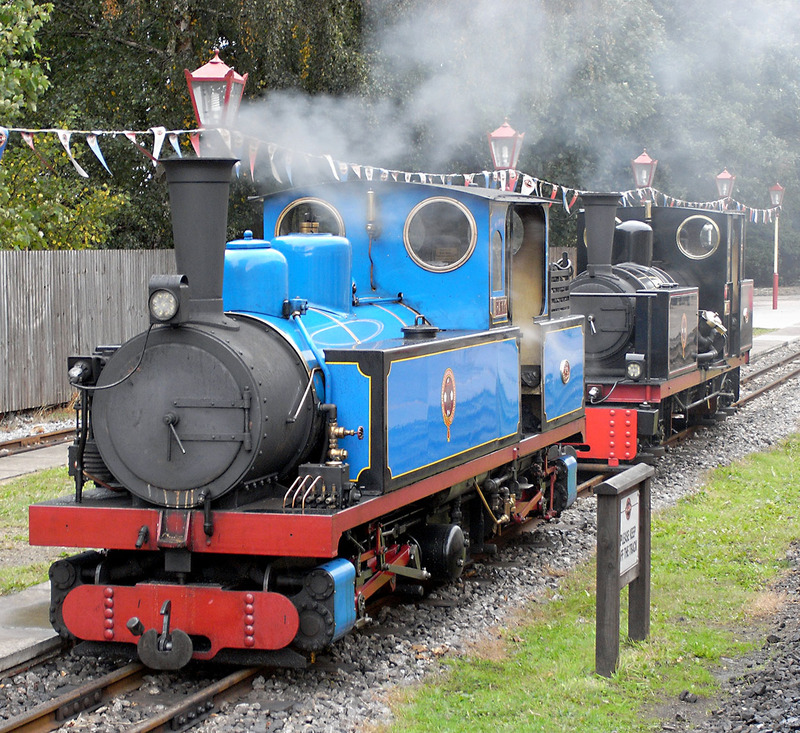 The KLR had organised a busy timetable, all of the trains were double-headed and it was a great opportunity to see lots of different 15 inch gauge locos. Let’s look at some Exmoors. Outside of the shed simmered Spirit of Adventure an 0-6-0 tank engine built by the Exmoor Steam Railway in 1993. She gleamed in the morning sunshine. I do like the maroon livery. 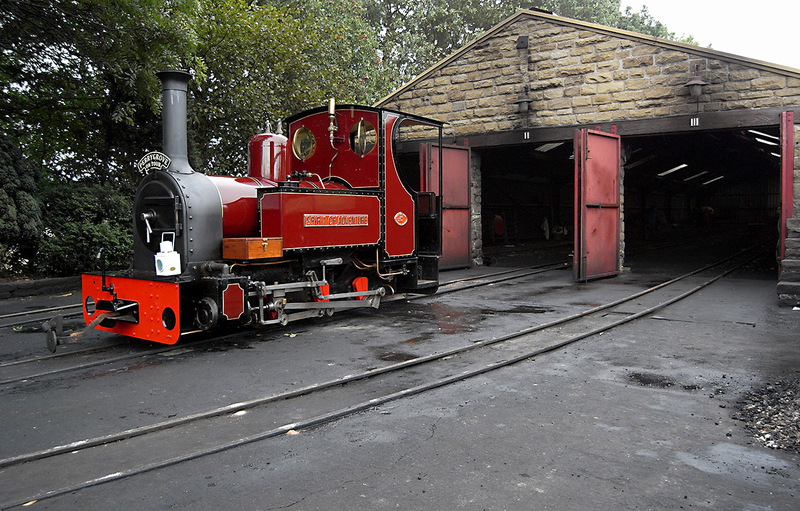 In the station was Monty an 0-4-2 tank engine built in 1992. 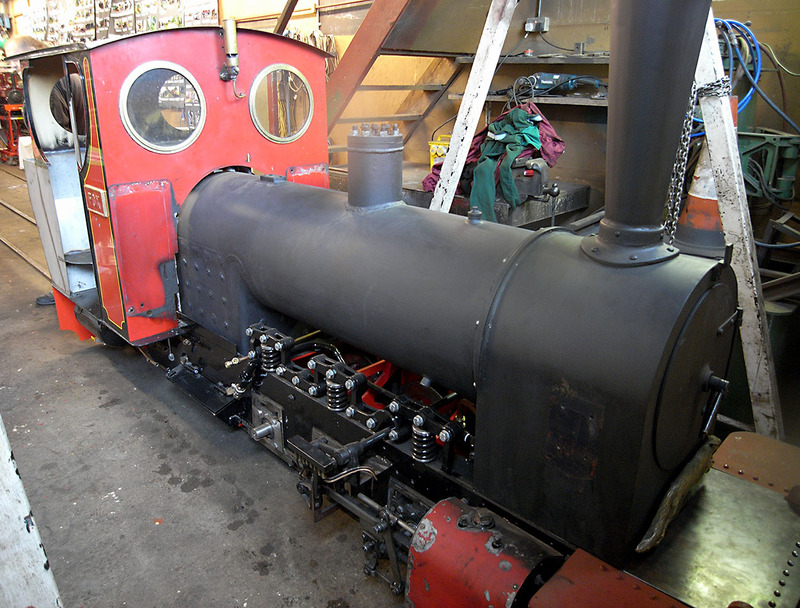 The Exmoor workshops build all of their locos from scratch, including the boilers. As you can see, they have a strong family resemblance. 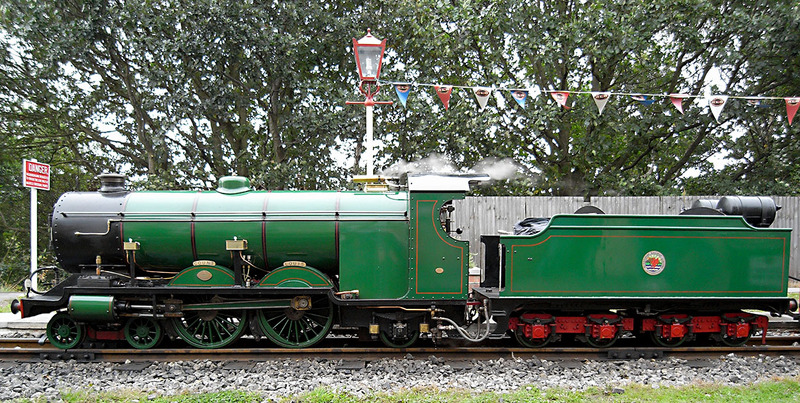 Of all the Exmoor locos I saw at the KLR I think Monty was my favourite. Good looking, compact, and lots of character. 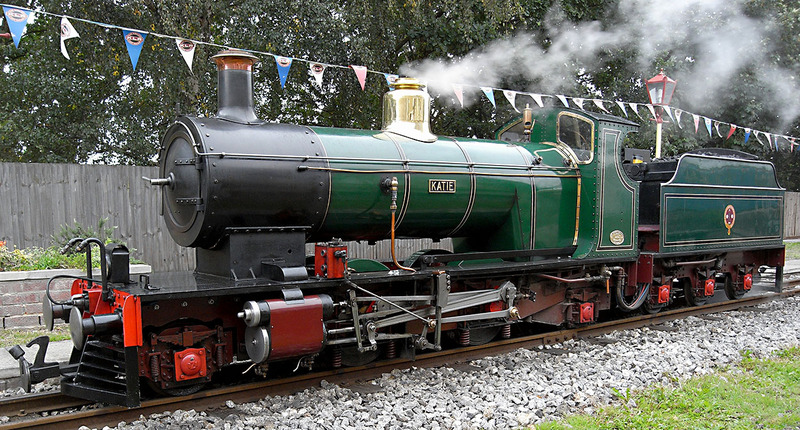 Here’s St Egwin an 0-4-0 Tender / Tank built in 2003 by, yes you’ve guessed it, the Exmoor works. 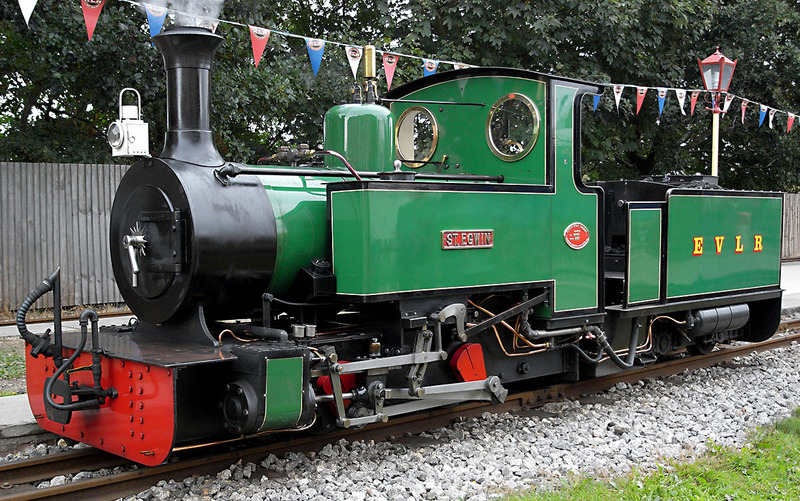 Although St Egwin has a tender she still has the Exmoor family features. The loco has quite long overhangs either side of the driving wheels and I wondered what the ride was like over rougher track. 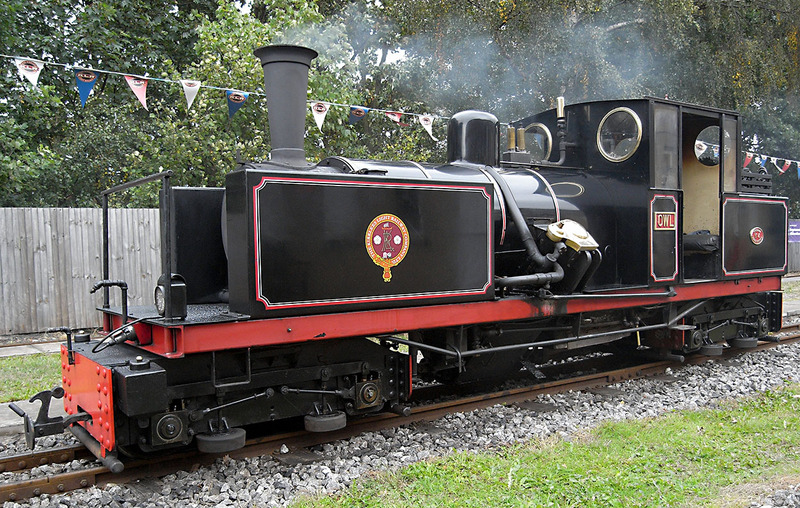 The KLR’s locos were in steam too. 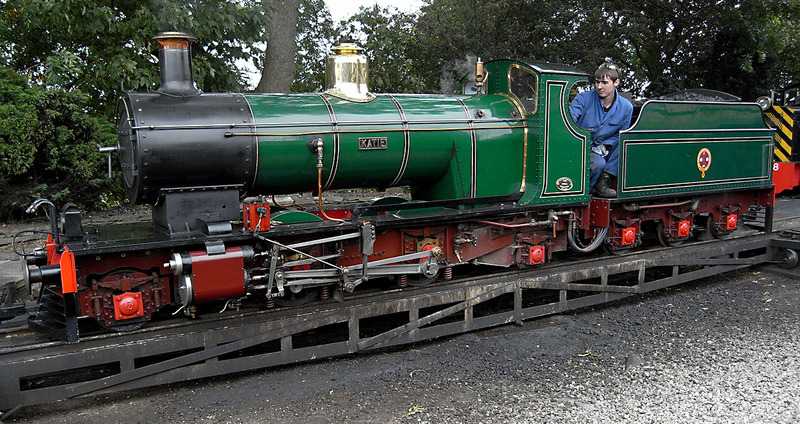 This is Owl, built at Clayton West in 2000 she’s an unusual loco with cylinders in a V arrangement, gears and a driveshaft. 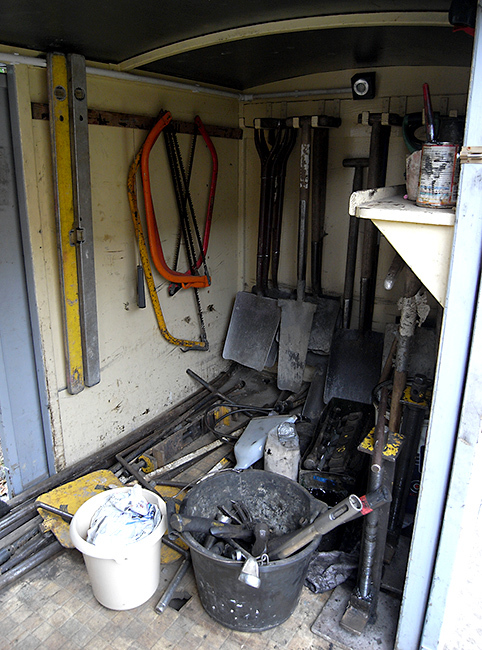 By lying on the platform I was able to get a photo of the driveshafts under the loco. Brian Taylor, who created the KLR, clearly wasn’t afraid of building unusual locos. 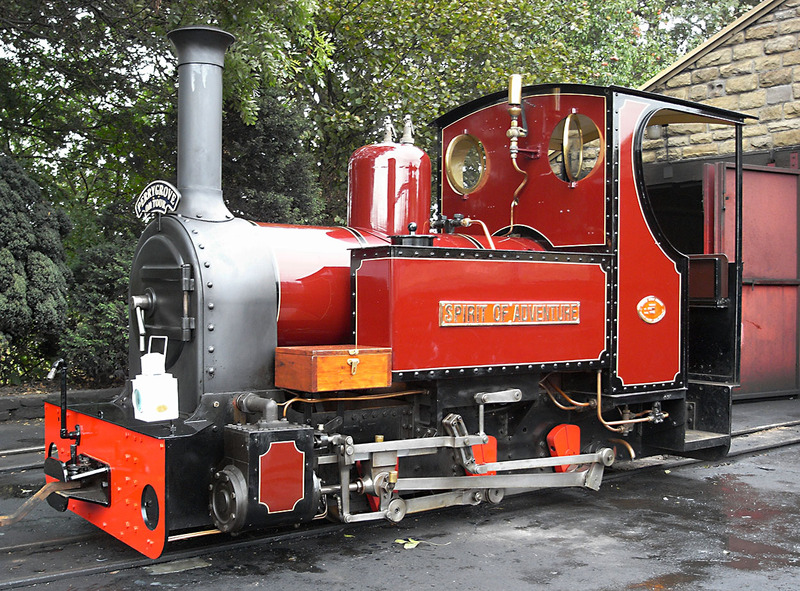 This is Hawk an 0-4-0+0-4-0 Kitson Meyer engine, based on a real engine built in Scotland and exported to Chile. Hawk and Owl were double heading trains together. 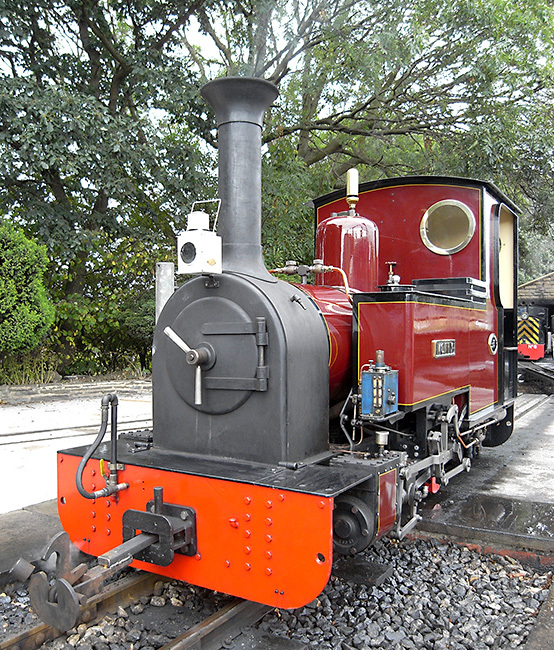 Count Louis spent many years at the Fairbourne Railway, as did this loco, Katie a 2-4-2 built in 1954 by Trevor Guest for the Dudley Zoo Railway. I have read a lot about Katie but I had never seen her before, so it was a pleasure to see her at the KLR, her permanent home. Katie’s sister loco has recently moved to the KLR. Sian was designed by Ernest W. Twining and built by Guest Engineering just like Katie although there was a nine year gap between the two. Sian is the younger sister, built in 1963. There are many similarities between the locos, but also a few differences and it was good to see the two locos side by side. Sian was running without nameplates. Apparently they are in the engine shed waiting to be fitted! I had been looking at locos for nearly two hours at this point and I still hadn’t had a trip down the line. Pausing only for a KLR breakfast roll and a Bakewell slice (both excellent) I hopped on the train to Shelley. I’m pleased to say it was pulled by Katie and Sian. At Skelmanthorpe we passed Hawk and Owl leading a train back to Clayton West. It was an impressive sight. At Shelly the KLR were doing ‘Driver for a Donation’ and for £5 I got to drive Sian. Bargain! Sian’s cab is spacious and well laid out and she was a pleasure to drive. 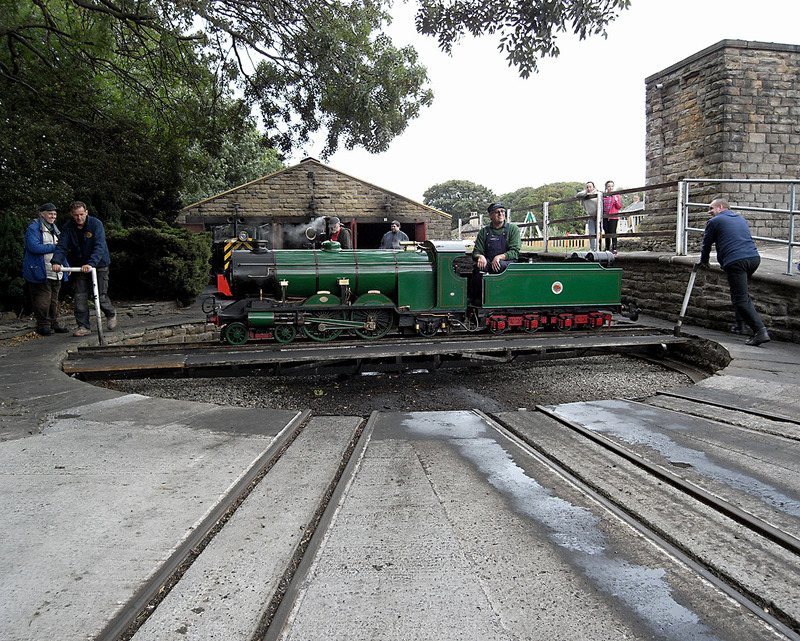 I must admit this was loco driving at it’s easiest: no firing, light loco and we only ran to the limit of shunt in the station and back. Nonetheless it was great fun. 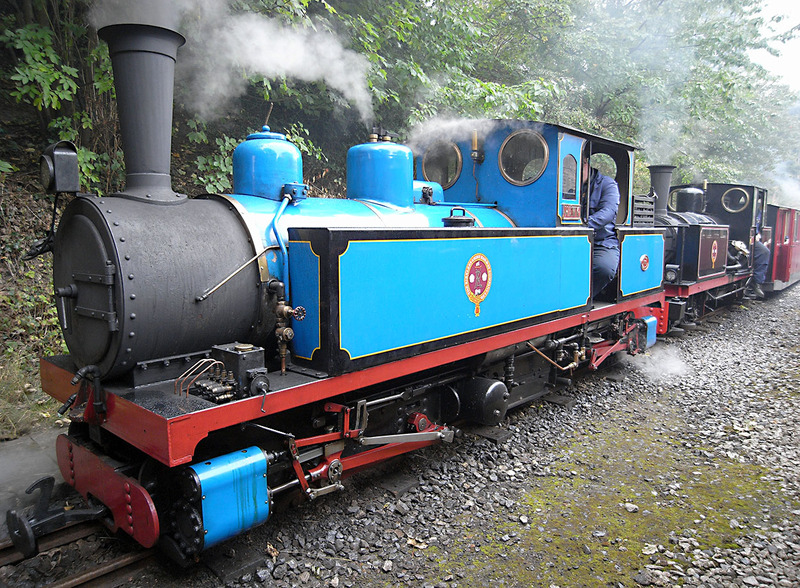 The KLR has a diesel loco in reserve at each terminus. 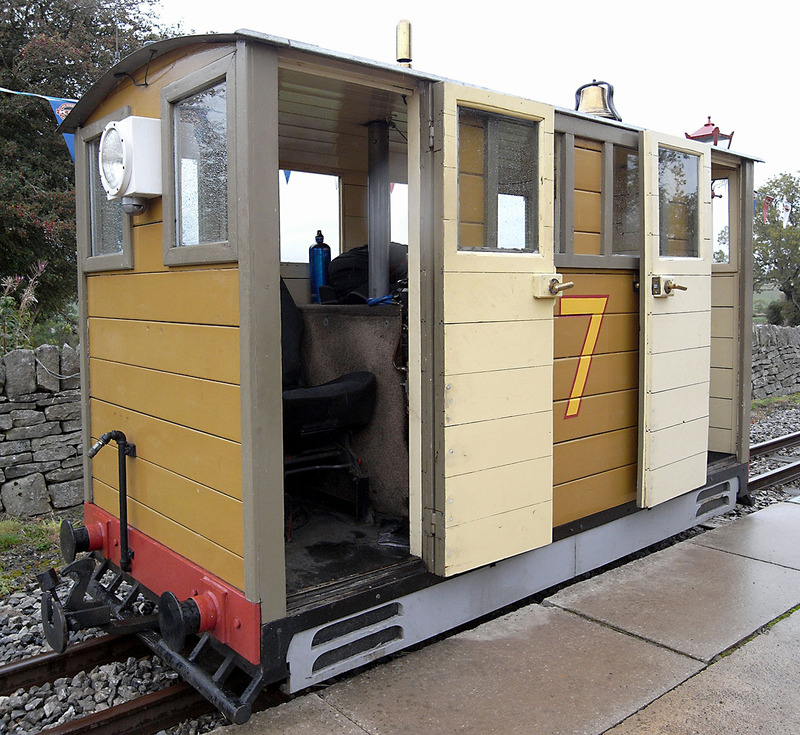 Jay was at Clayton West and No 7 at Shelley. I traveled back to Clayton West in a train double headed by Count Louis and KLR loco Badger, an 0-6-4 saddle tank. I visited the engine shed at Clayton West to shelter from the drizzle. Inside were an excellent bookstall (yes, I succumbed!) and a couple of model railways. I particularly liked Dolwyn by Dave and Barbara Holmes. 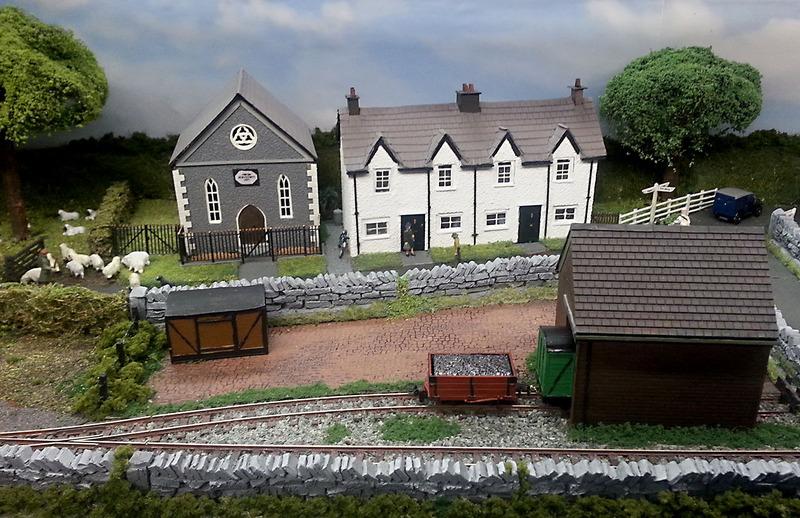 It is loosely based on Dolywern station on the Glyn Valley Tramway. 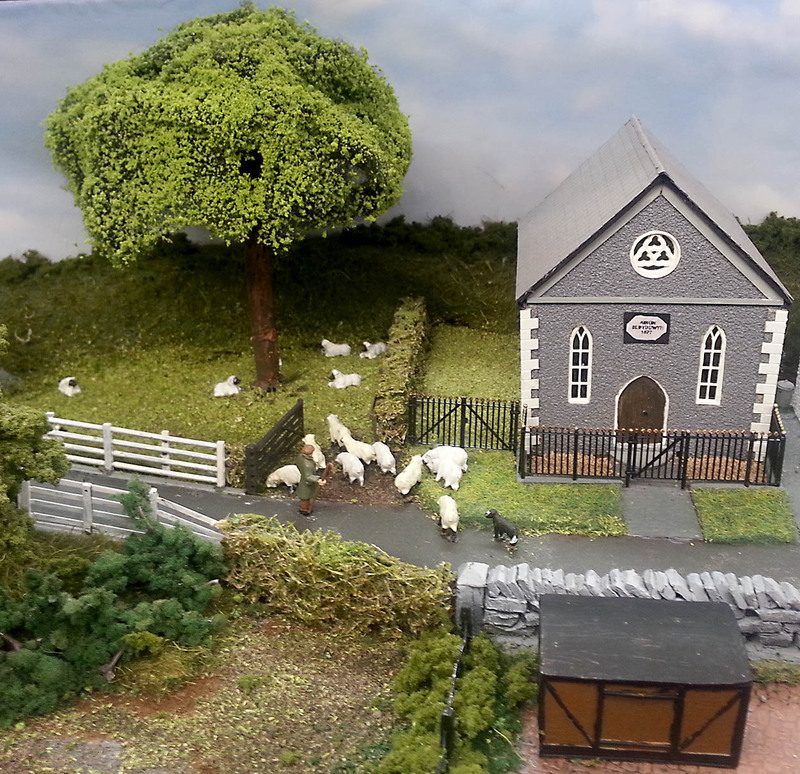 The buildings are the actual buildings but they have been repositioned to create a better visual effect on the layout. They were scratch built by Barbara and the walls are covered with ’40 grit’ sandpaper, painted to create the rough stone effect. Also in the engine shed was the only KLR loco I hadn’t seen. 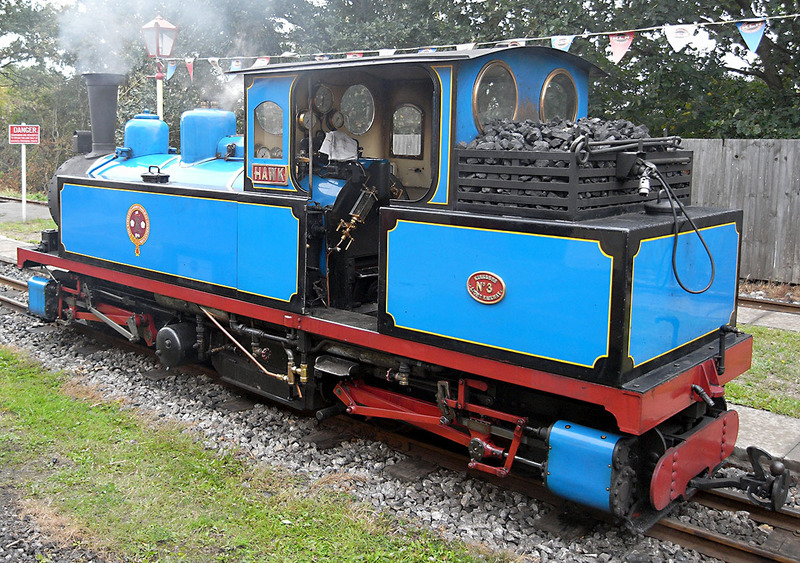 Fox, a 2-6-2 tank engine, was obviously having a major overhaul. I went outside to see the trains again. 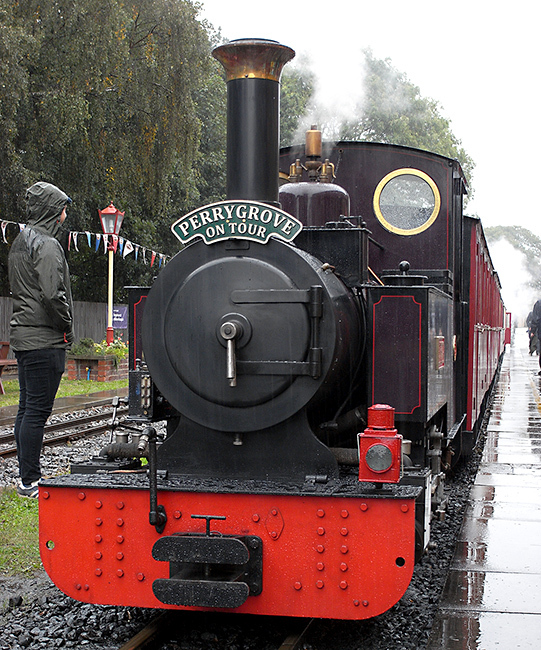 Although the drizzle had turned to heavy rain I managed to get some photos of another Exmoor loco, Anne, an 0-6-2 tank engine built in 2004. 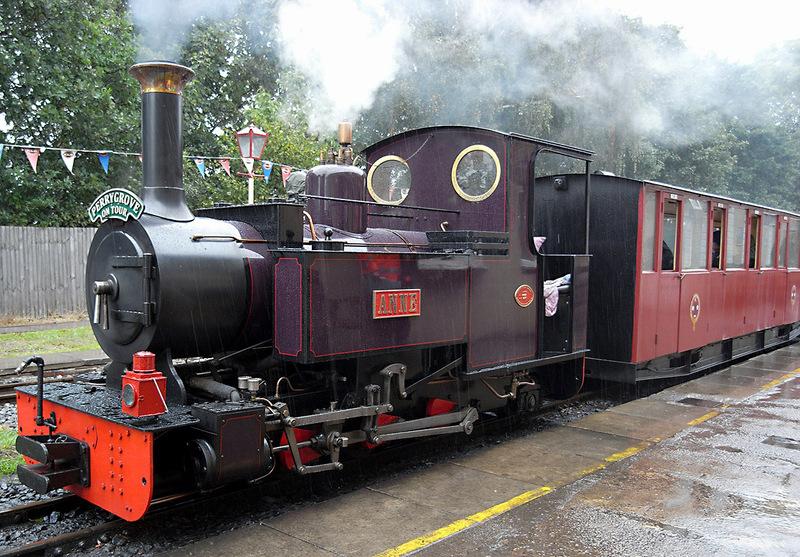 She is finished in a purple livery, an unusual colour for a loco, but it does look good. 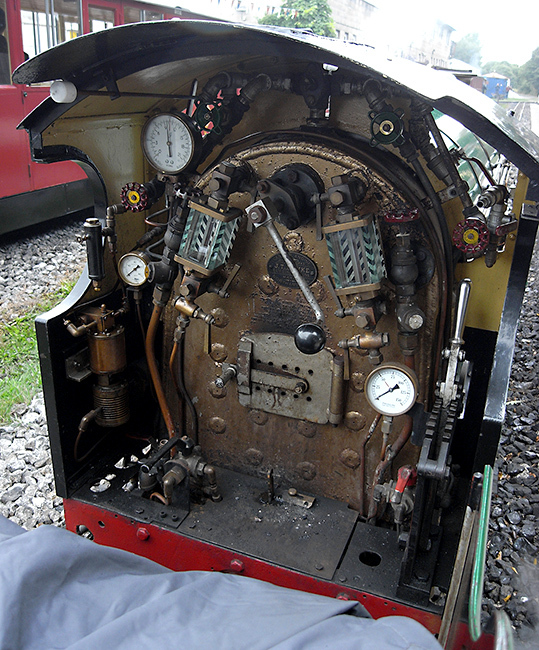 I had seen all of the locos at the gala, taken numerous photos of each one, and had a great time. I headed for home, slightly damp and very happy. 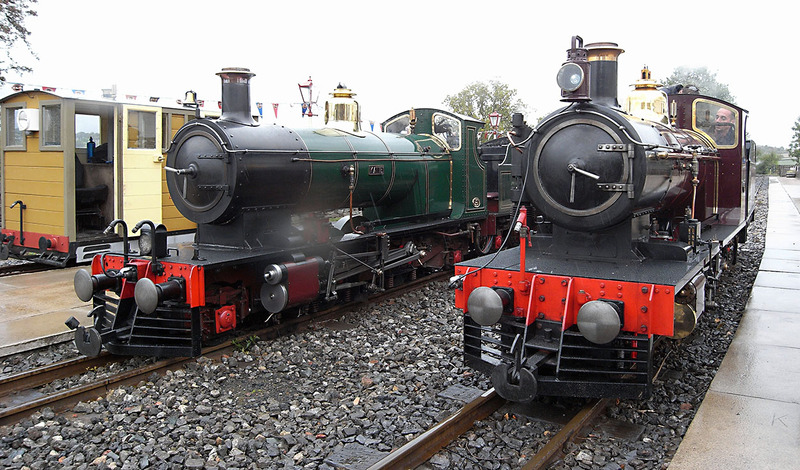 Many thanks to everyone at the KLR for gathering so many locos in one place and creating such an enjoyable event. Hi Sed, Many thanks for another reblog. Your posts definitely draw visitors to my blog.